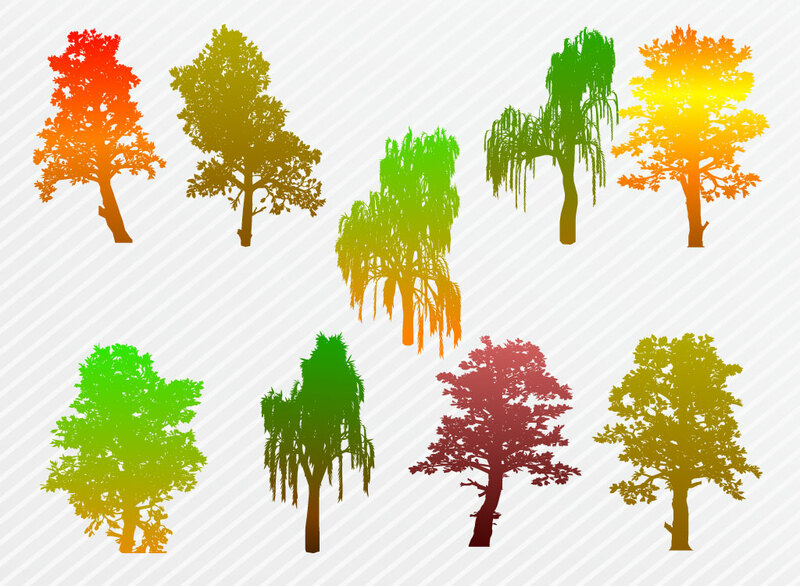 Beautiful trees vector art footage pack. Nine colorful vector tree silhouettes in threshold style come set on a gray diagonal stripe background. The free download features a wide variety of trees that are lush and full with leaves. Perfect nature elements to help you build illustrations, collages and forest themed backgrounds. Tags: Colorful, Green, Jungle, Leaf, Leaves, Nature, Tree, Tree Silhouettes.